Home › Uncategorized › The ‘One New Man’ Heresy; the driving theology behind NARpostolic unity & mainstreaming of HRM. In 1948, Israel was declared a nation. It’s no coincidence that in the same year, the New Order of the Latter Rain (NOLR) revival emerged. Among the many abhorrent practices and beliefs that came out of the NOLR cult, were doctrines which helped establish what is today now commonly known as the Hebrew Roots Movement (HRM). NAR Apostle and Prophetess Gwen Shaw (a close friend of NAR Apostle Patricia King), was instrumental in linking her NOLR heresies with the development of HRM heresies in her End-Time Handmaidens and Servants ministries (www.eth-s.org/). Even NAR Apostle Michael Brown and his friends NAR Apostle Daniel Justers (of Tikkun International) and NAR Prophet Sid Roth (from TV show ‘It’s Supernatural’), have been guilty of promoting the Hebrew Roots Movement in Christendom). Although the HRM existed before the NOLR, the leaders of the NOLR helped developed the HRM with their restorationist and utopian end-times government of the church. TEACHINGS OF THE LATTER RAIN – THE MAN CHILD COMPANY? Going back to the NOLR and the birthing of Israel in 1948, the leaders, teachers, elders and ‘twelve apostles’ of the NOLR cult attempted to develop their theology around the restoration of Israel. Because they saw the restoration of Israel as a sign of the end-times, the NOLR believed that Christ would return at the end of the millennium. The NOLR publication ‘The Sharon Star’, was proudly represented by the Jewish Star. Historian Richard Riss recorded what the NOLR publication said back in the day. “All the great outpourings of the past have had their outstanding truths. Luthur’s [sic] truth was Justification by Faith. Wesley’s was Sanctification. When perusing the documents of Latter Rain theology, they constantly play semantics between ‘former rain’ and ‘latter rain’ to justify their pet theological musings. the Latter Rain was the latter covenant and covenantal blessing that came with Christ. the Latter Rain was to be a second Pentecost to birth a greater supernaturally-powered church before the end of the age. In NOLR theology, they are progressing towards the third and final age where “the Latter house shall be greater than the former” (Sonmore, pg 12). This is why the Charismatic Movement was birthed and why we are seeing the NAR trying to militantly take over churches and establish this greater “New Order” and “New Wine Skin” church. So let us unpack this ‘Feast of Tabernacles’ theology. How is this connected to the HRM and the Man-Child Company heresy? It is this type of dangerous thinking which had the NOLR cult believe something similar to the Mormon cult – that is the Doctrine of Exaltation. The first heresy goes by many names. The CRM in the 70s and 80s called it ‘Kings Kids’ which evolved to be known as the ‘Little Gods’ or ‘I Am’ doctrine (Creflo Dollar, Kenneth Copeland, Kenneth Hagin, Benny Hinn, Joyce Meyer, Mike Munroe, Joel Osteen, Jesse Duplantis, etc.). In the NAR, it is commonly known as the New Breed doctrine but is also subtly pushed under the name of Sonship, (Lou Engle, Michael Brown, Todd White, Todd Bentley, Patricia King, Matt Sorger, Bob Jones, Rick Joyner, etc.). The Man-Child Company also goes under many names. The NOLR also called this the First Fruits Company, Joseph Company (or anything with ‘Company’ at the end of the title), Sonmore also calling it the ‘Corporate Overcomer’, ‘Son Company’ or the ‘Many-membered son’. The NAR specifically call it the New One Man but can also mix it with New Breed language, names often ending with ‘Generation’ like the ‘Joshua Generation’ (as Joshua led Israel to victory into the promised land, being led by the presence and power of God to take dominion over the land). However, both the NOLR and NAR cults and it’s leaders use Gideon and his army to further this Man-Child Company, One New Man or New Breed heresies. Notice the exclusion of Pentecostalism and traditional denominations in the above diagram due to their language but includes the New Order of the Latter Rain and Charismatic Renewal Movements (CRM). Although they claim this ‘Holy Place’ consists of the ‘Pentecostal Camp’, they really mean it’s their doctrinal views and definition of ‘Pentecostal’ which requires a ‘spirit-filled’ and ‘spirit baptism’ of the ‘soul’, specifically ‘chosen’ by God to pioneer something new. In other words, they believe that ‘true’ Pentecostals were the Latter Rain remnant Pentecostals who believed traditional Pentecostalism had been forsaken and now conformed to denominationalism. And from here on in C. Peter Wagner, his mentors and NAR Apostles were keying in on as the rumblings of the New Apostolic Reformation. And as we see with NOLR theology, they are pushing Christianity to embrace the Third Feast. And the ‘thirst feast’ was important to them because they wanted ‘God to tabernacle with man’ in the last days. They had the belief man was to be glorified individually and corporately on this side of the resurrection with Christ manifesting Himself in all fullness of glory and power (thus deifying man) to usher his own return. We see this pushed in a seemingly relaxed fashion on the church in the CRM but very militantly and deceitfully in the NAR. If our readers have any doubts, they should familiarize themselves with the language and doctrine in the furthest right hand column above. (It is very noticeable in people like Michael Brown, C. Peter Wagner, Che Ahn, Patricia King, Bill Johnson, Bill Hamon, Todd White, etc.) Nevertheless, the CRM (but mainly the NAR) are attempting to have the church embrace the full Pentecost experience so that the church can transition into the final feast phase. So there is no room in true NOLR, CRM and NAR theology to include denominational churches of God. They exist to undermine traditional churches and call out the ‘true’ remnant from among this demonic and dead ‘Babylon’ denominational system. The proof of this claim can be seen extensively in Latter Rain publications such as the ‘Voice of Healing’ and ‘New Wine’ magazines. FROM ‘THE MAN-CHILD COMPANY’ NOW RENAMED ‘THE ONE NEW MAN’? In other words, the true end-times church was forming through “receiving the Holy Spirit” through a false spiritual encounter (now promoted through the false teaching of spiritual baptism). All that needed to happen now was for this global church to awaken so it can be united in spiritual power and blessing. Resembling a Giant Jesus, the Sleeping Giant was made up millions of people. NOTE: This giant Jesus was made popular again in 1977, where Oral Roberts (a Latter Rainer) claimed that a 900-foot-tall Jesus appeared to him in a dream. The vision of the sleeping giant (church) raising it’s hands to the sky and then later in the vision administering healing to the nations reflects Oral Roberts’ giant “Healing Hands” sculpture which stood in front of Oral’s “City of Faith,” a medical center devoted to faith healing. The Healing complex “The City of Faith is now known as CityPlex Towers…. Its central tower stands 640 feet tall, which reportedly is the same height as the Jesus who appeared to Oral in a dream and told him to build it.” [Link] It is also worth noting that the ancient Gnostics gravitated towards the Gospel of Peter. Verses 10:39-42 reveals a very similar experience Tommy Hicks and Oral Roberts have where Jesus is presented as a giant with his head hitting the clouds. In this vision, the falling latter rain hit this body as it was ‘awakening’. The vision exposed a corporate Jesus (the Man-Child Company) and people individually as a Jesus (the New Breed heresy). The Latter Rain specifically drew a distinction between this true spirit-filled, powerful, end-times church versus the false spiritually empty and demonic, powerless, traditional church. The signs of their One New Man church is that it is yielded, yearning, hungry, thirsty, desperate, pressing/leaning in, etc. It is a church going to new levels, going deeper or digging deeper wells to tap in to the living waters, ‘New Wine’ or revelations of the Holy Spirit. This Latter Rain church wants a visitation, touch or encounter from the presence and power of God – often promoted through the idea that the church must be unified to move in spiritual supremacy across the face of the earth. So it comes to no surprise that the title of the book ‘Awakening the One New Man’ reflects the imagery of Tommy Hicks Vision. At some point between then and now, the heretical concept that the body of Christ is to become a literally ‘deified’ body of Jesus Christ on the earth has been renamed the ‘One New Man’. And this is where Dr Michael Brown and other Jewish ‘Christians’ come to promote the idea of the MCC. Only they call it the ‘One New Man’. Michael Brown has his roots in the New Order of the Latter Rain cult, (we will publish more on this soon). However, he, along with Jack Hayford, and other Jewish writers had their works compiled in a book titled ‘Awakening the One New Man’. This book also pushes the heresies of ecumenism, the Hebrew Roots Movement and classic cultic Restorationism. This book is damning, revealing his Latter Rain roots, Latter Rain theologies and agendas. Remember, it was the Latter Rain which heavily emphasised that God was restoring Apostles and Prophets. As we know, Brown does not reject the heresy of the Latter Rain ascension gifts (aka Five Fold Ministry) nor their Man-Child Company heresy. Now we have Jews responding to this Feast of Tabernacles/Man Child Company heresy invented by the Latter Rain. Remember that the NOLR’s agenda was to not just unite spiritual differences (Catholics and Protestants) but to claim God is calling and birthing the Man-Child to usher this final feast. We are about to see how this played out in New Apostolic Reformation theology and their events..
You can see NAR prophet Bob Jones espousing this ‘One New Man” theology from the Latter Rain and keeping its imagery in line with Tommy Hicks’ vision. Where have we seen the tip of a ‘sword’ being used in relation to this ‘Joel’s Army’ concept? Answer? NAR Apostle Bill Johnson & Kris Vallotton ‘knight’ Ben Fitzgerald? Source: Jones, Bob “The Coming Kingdom” Piercing the Darkness Prophetic Conference, February 2011. Hosted by Bethel Church, Redding, CA, Feb 23-25, 2011, Session 4, Feb 24, 2011, 7:00pm, 38:53 – 39:05. Emphasis in original. Available for sale at Bill Johnson’s Bethel Church website: <http://store.ibethel.org/p4810/piercing-the-darkness-february-2011-complete-set-bethel-campus>; as accessed 09/15/12. Bob Jones and Bill Hamon (read his book ‘All Saints Day’) were some of the key men in laying this New Breed and One New Man theological foundation, not only in the NOLR movement – they made sure they were around NAR Apostles and Prophets to lay this foundation in the New Apostolic Reformation. NAR Apostle Rick Joyner and NAR Apostle Mike Bickle were raised under the New Breed and One New Man heresies of Bob Jones. Jones also heavily influenced the leaders of Lakeland in 2008. So this theology is not exactly hidden. It’s in plain sight – just presented with carefully constructed words. Consider Rick Joyner’s infamous series ‘The Call’. 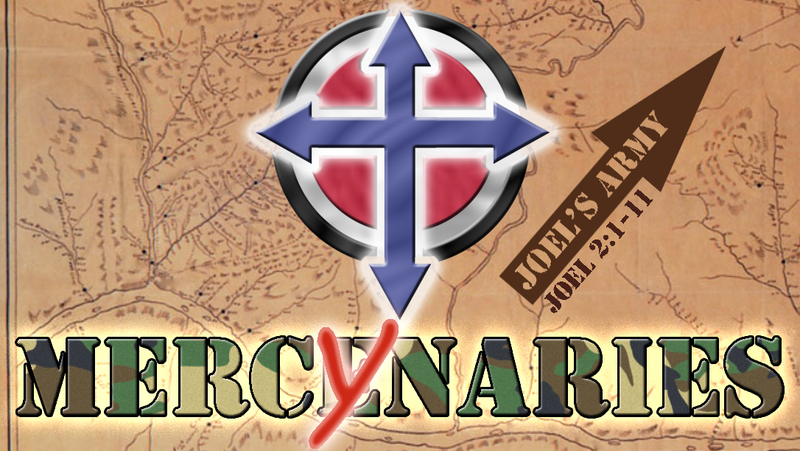 Undergirding his entire work is the Joel’s Army framework regarding the true church and false church. When he is talking with Adam in heaven, Adam talks of the role of the New Breed and lightly touches on the One New Man. What’s interesting with Joyner is that he believes it’s the role of NAR Apostles to fulfil the Apostolic Commission that Wagner and many other NARpostles. NAR Apostle Lou Engle picked up the title of this book and labelled his rally ‘The Call’ with NAR Apostle Che Ahn, NAR Apostle C. Peter Wagner and Michael Brown being involved in this blatantly NOLR event. Chris Rosebrough even reviewed a sermon that revealed that Engle believed his movement was going to raise up ‘Sons of Thuunder’ (another term for New Breed) and to usher in the ‘Jesus Movement’ – a company that was going to take away the sins of the world. And as we all know, C. Peter Wagner was the head of the New Apostolic Reformation. Chuck Pierce is one of Wagner’s spiritual children. Both Chuck Pierce and Bill Hamon are Honorary Members and recognized Apostles of Wagner’s International Coalition of Apostles. They also push this One New Man heresy. The Camels are Coming: A Year to Bridge the Past and Enter the Future! Move from Recovery to Wholeness! At the “Head” or start of the Hebraic year, we have access to fresh revelation for the coming year. Join us on September 20-23 for Head of the Year 5773: The Camels are Coming – A Year to Bridge the Past and the Future and Move from Recovery to Wholeness! This will be the year of Ayin Gimel (73). Gimel is the third letter of the Hebrew alphabet as well as the number 3, and originally pictured a camel. This is a year that we will be looking for the camels to come! This is a time to keep your feet moving and go beyond where you have been in the past, until you drink and eat of the produce of your promise! The Kingdom of God will become the greatest influence in the earth realm. This doctrine is openly taught in Bethel. It has been preached numerous times by Kris Vallotton and Bill Johnson. But here is a more clearer instance where Bill Johnson is pushing this One New Man heresy at Bethel Church. His language is reflecting the NOLR name of the heresy. “… Here’s what I’m believing for – I know it’s never happened; but, I know that it must before the end. There must be, not just individuals – I’m thankful we have individuals that are rising up with such anointing, such strength, we have people scattered all over the planet right now that are just making a mess of things in all the right ways. You an also see this ‘Man Child Company’ and ‘One New Man’ heresy taught on television and advertised on YouTube by Sid Roth. SID ROTH’S MINISTRY IS CENTERED ON THIS HERESY? This is Apostle Bill Hamon’s apostolic church and school. Morford attended a CI near where Bill Hamon actually lives in Santa Rosa Beach, Florida. Remember, Hamon was a young man who was involved and heavily influenced by the New Order of the Later Rain cult. Hamon has been up front in his ministry and books about raising up this ‘Man Child Company’ which Morford has defaulted in calling the ‘One New Man’. “In 1967, Dr. Bill Hamon founded Christian International School of Theology and in 1970 the first CI Extension Colleges were established. […] In 1980, Christian International formed its first ministerial association, Christian International Ministerial Association (CIMA). Three years later, in 1983, Dr. Bill Hamon received the revelation that God was going to raise up a great end-time company of prophets to restore the ministries of the prophet and the apostle. […] God began giving Dr. Hamon both a vision and a burden for calling forth, activating, and maturing that great company of prophets. CIMA was changed to Christian International Network of Prophetic Ministries (CI NPM) with the purpose of fulfilling that vision. CI NPM grew nationwide with scores of ministers and churches. Hundreds of prophets and prophetic ministers were called forth and activated into prophetic ministry. In 1991, apostles began to be recognized, along with the prophets, as foundational ministries of the Church. […] CI NPM had trained and activated thousands of ministers and saints across the world as the Prophetic Movement sounded forth the call of God to gather a company of end-time prophets. […] The networking together of ministers and churches for relationship, oversight, and accountability would add a new dimension of covering for those relating to CI NPM. In May of 1992, Christian International Network of Churches (CINC) was formed to meet that need. Here is a great example of a NOLR follower who is now part of the New Apostolic Reformation leading the way in help birth the ‘One New Man’. He is responsible for creating Bill Morford who in turn as developed this ‘One New Man’ theology, (no doubt), in his false bible. At this point, you may think we are playing semantics with their words. Not so – they are playing semantics with the Bible and with their audiences to reinforce belief in something completely heretical. Sid Roth makes it very clear that this ‘One New Man’ is a corporate supernatural manifestation of God through a people in the last days – just as the NOLR defined it to be. In fact, Sid Roth is so driven by this concept, he ran a One New Man Fellowship website and has even pointed out on his shows that he runs a ‘One New Man’ conference. Here you can see NAR ‘prophet’ Kathie Walters recording herself manifesting at this meeting. To end, we prove our case that this Latter Rain Man-Child Company heresy is in fact this One New man heresy by allowing Sid Roth to advertise his beliefs on his Messianic ‘One New Man’ advertisements and providingarchived links on his website that promote this NOLR One New Man heresy. By Messianic Rabbi Eric Carlson, Published July 15, 2007. We hope this article has alerted you to this dangerous heresy that can only lead people to spiritual destruction. We pray that our research into this matter blesses you and reaches those caught up in the cults of the NAR, NOLR, HRM and CRM. ‹ A not so hysterical request to Dr. James White regarding Dr. Michael Brown.